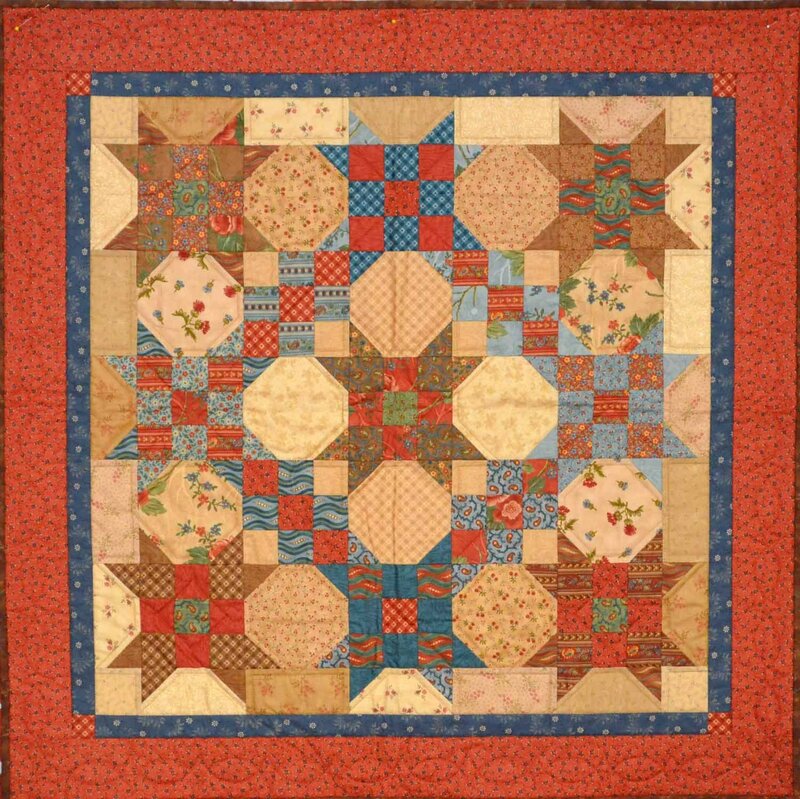 Use this lovely small quilt as a table centerpiece or a wall hanging. Finished size: 34" x 34". This wall hanging is machine pieced and custom machine quilted. There is a sleeve attached for easy hanging. Machine wash and dry.